All matters discussed between us, by telephone, e-mail, or in sessions, are treated confidentially. What are counselling and psychotherapy and how can they help? We all deal with challenges in life and at times require emotional support. This can be due to upsetting events such as a traumatic experience or bereavement. At times we can feel ineffectual and have a general frustration with life. My service offers a safe and contained environment to look at and explore the difficulties you may be experiencing. This will give you the opportunity to understand your thoughts and feelings and develop self confidence. I am a member of the British Association for Counselling and Psychotherapy (BACP). I am also a student member of The United Kingdom Association for Transactional Analysis (UKATA) and adhere to both ethical frameworks. I have a diploma in integrative counselling and have recently completed four years of advanced training in transactional analysis psychotherapy. I work using an integrative relational approach to transactional analysis. I have a broad and extensive experience in various therapeutic settings including working in the NHS and with clients requiring therapeutic support when in crisis. Thank you for visiting my website. 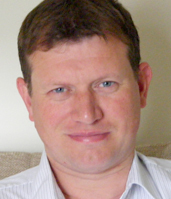 My name is Matthew Rossor and my counselling and psychotherapy practice is based in Long Marston near Tring in Hertfordshire, a location that is within easy reach of Watford, Hemel Hempstead, Harrow, St Albans, Aylesbury Leighton Buzzard, Milton Keynes and Dunstable. Please look at the contacts page for directions and transport advice, or feel free to contact me directly for further information.